On Monday, we’ll be delivering domestic violence information to several churches in Jefferson County, TN. If your church would like to receive free domestic violence information contact us with the name of your church and the address (directions are alway welcome too). We want to be sure every church has the information they need. Churches can be the first line of defense. When it comes to domestic violence information for churches, no one does it better than Hope for Healing.Org. Our website has the tools churches need. 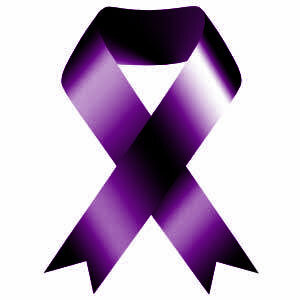 Visit us at http://www.hopeforhealing.org/clergy to download free domestic violence information for churches. You’ll find pulpit helps, bulletin inserts, fact sheets, liturgical readings and lots more. Traditionally, the Christian community has shied away from the hard topics of domestic abuse and sexual assault. There is tragedy any time violence happens within the church family. However, an equally tragic type of tragedy happens when Christians don’t know how to respond. What could be the finest hour for the Christian community turns out to be a bungled mess that leaves the victim(s) confused and feeling abandoned. Don’t let this happen to your friends and neighbors in the congregation. The link above is the first step in learning how to recognize and help survivors that are already within the church. This isn’t “911” help. (That’s always best left for the pros!) Instead, the link helps educate and raise awareness. The ministry of Hope for Healing.Org doesn’t stop with providing the links mentioned above. We also provide invaluable training so churches and clergy can get needed domestic violence information. There is no official charge for this training. All we ask is that expenses be covered by taking up a love offering and that everyone in attendance purchase a reasonably priced training manual. Email us at hello@hopeforhealing.org to arrange a training. Our volunteers and staff are always willing to talk with groups both large and small. There’s never been a better time or an easier way for churches to receive free domestic violence information. Why not contact us to get started today? Previous PostVito Colucci and Crime Time Welcomes Anne Bremner and Jonna Spilbor!